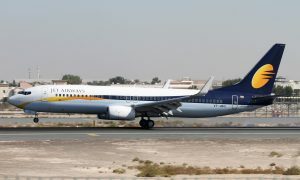 Boeing and Jet Airways today announced a new order for 75 737 MAX airplanes as India’s premier international airline looks to the new and improved 737 jet to power its future growth. 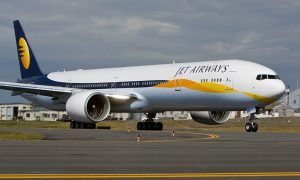 Jet Airways announced its first order for 75 MAX airplanes in 2015 as part of a strategy to refresh its fleet with the most modern and environmentally progressive airplanes. The newest order adds 75 more MAXs to support the airline’s future expansion. Jet Airways is set to take direct delivery of its first MAX airplane later this year. The 737 MAX is a family of airplanes that offer about 130 to 230 seats with the ability to fly up to 3,850 nautical miles (7,130 kilometers). 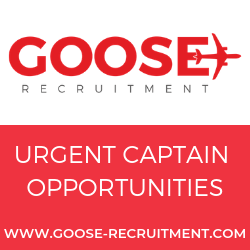 These jets incorporate the latest CFM International LEAP-1B engines, Advanced Technology winglets, the Boeing Sky Interior, large flight deck displays and other features to deliver the highest efficiency, reliability and passenger comfort in the single-aisle market.